The 1st contender is Foncy Ulikba Montenegra who took up Nursing Assistant. She is now working as a freelance make-up artist, choreographer, and fashion designer. The next contestant is Jinggay Mondenedo Chinel who is a graduate of BA Commerce. She is a certified raketera and also owns a salon and gown rental business. Last but not the least is AR Duque who studied Mass Communication. She is a former student supreme council and is currently a virtual assistant for home based. The 1st question that was asked is about the location of UPLB. AR immediately gave the correct answer and will advance in the 2nd round. When the 2nd question is asked, both Foncy and Jinggay failed to guess the right answer. Contestant no. 2 redeem herself in the 3rd question by giving the exact answer and will also advance in the next round while contestant no. 1 is eliminated. AR is called and her question says; if you will sleep in the midday, will you still experience nightmare? She answered that it is possible if you have negative thoughts but to avoid this, we must feed our mind positively. Jinggay is the next one to be called and her question says; if you have an illegitimate sibling, why don’t you let him in? She stated that she will accept him/her genuinely and will also love the people who took care of him. 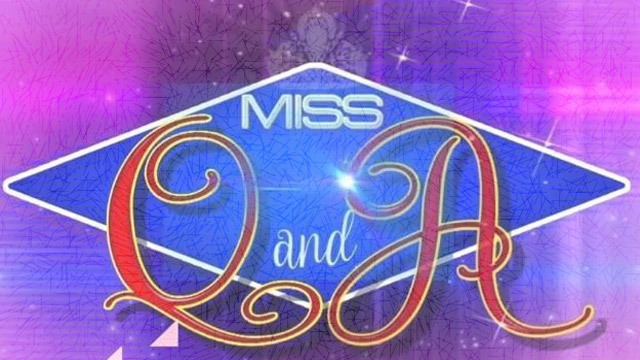 Based on their answers, the judges chose AR to compete with the reigning queen. AR and Gianna are going to answer the question that says; why do you still love the person who hurt you repeatedly? The daily winner said that loving is a decision and when you love a person, you should take full responsibility to it. The defending winner on the other hand said that she is still hoping that he will change for the better but if not, you better let him go. After a deliberation, AR is now the new queen and will defend her crown tomorrow.